The holidays are here and Christmas decorating is the first thing on my list. Whenever I have bare walls, I try to DIY wall art that will help fill in some of the empty space. 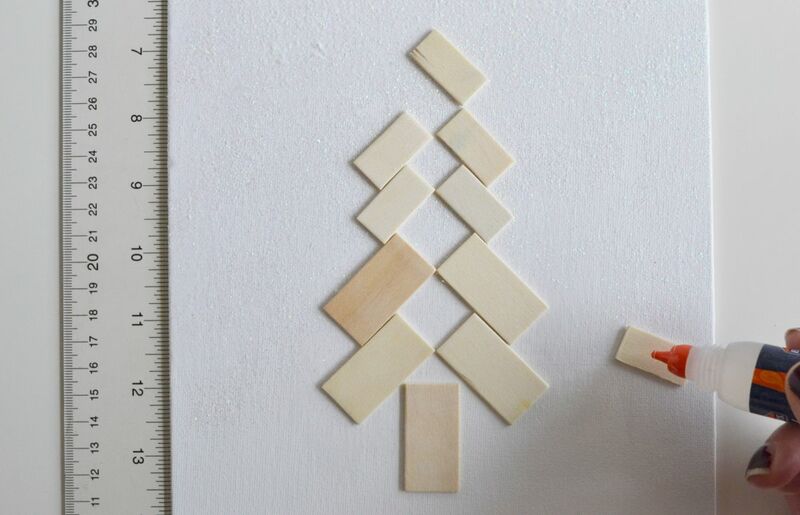 With Christmas coming soon, there’s no better time than now to make minimal Christmas tree wall art. 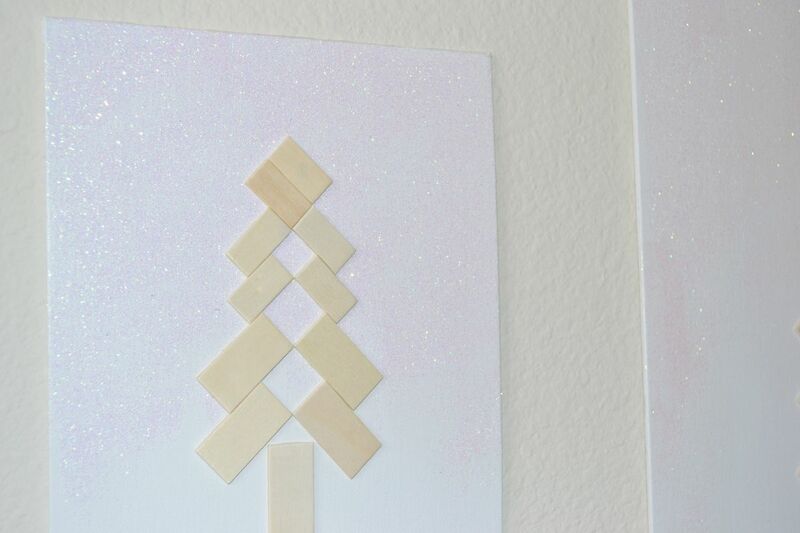 So I’ve pulled some of my craft resources together to create easy Scandinavian-inspired, holiday wall art. If you know anything about a Nordic Christmas, it’s minimal: white walls, graced with simple rustic decor. A branch or two lined on the fireplace, with maybe lighted lanterns incorporated as well. 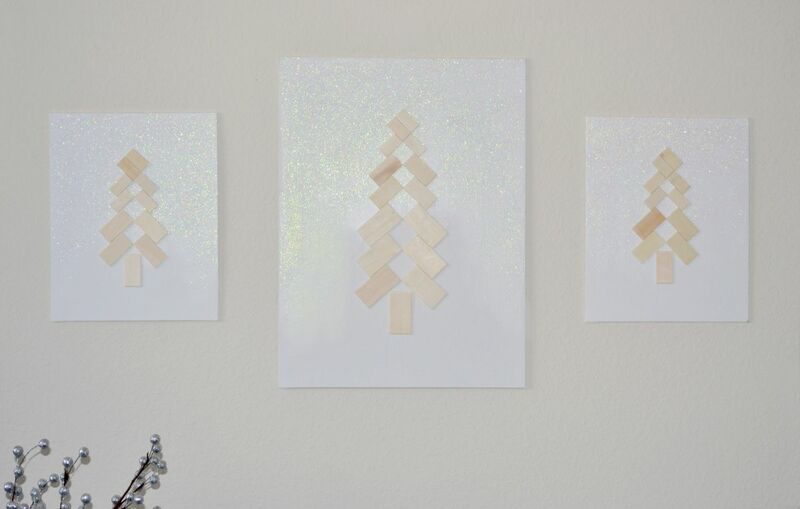 Here I’ve put that inspiration into making easy Christmas tree wall art. 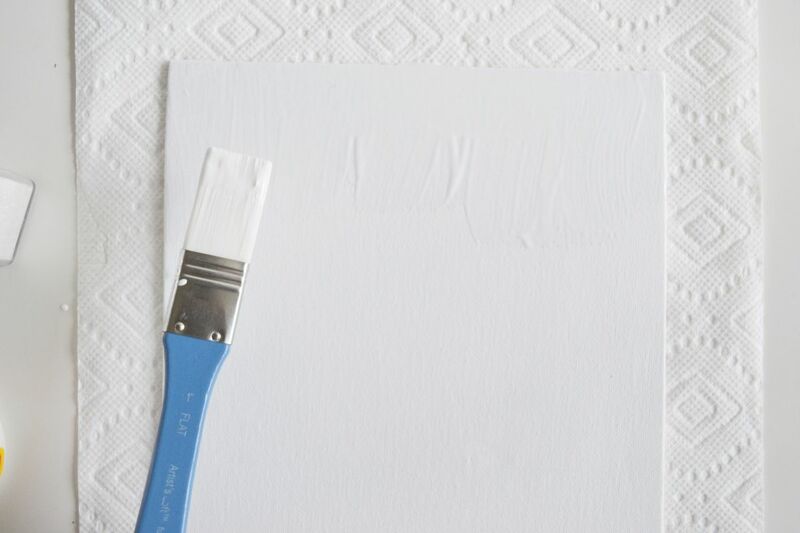 First, coat your canvas with Mod Podge, covering the entire area. 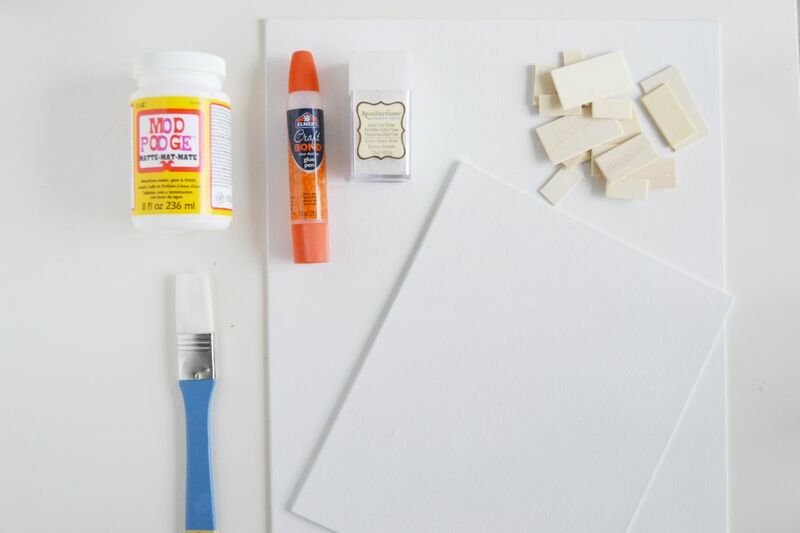 While the Mod Podge is still wet, sprinkle the glitter on top of the canvas. For this project, I decided to do somewhat of a ombre or gradient effect with my glitter- an illusion of sparkly snow falling down on the trees. To do that, sprinkle more glitter at the top and gradually sprinkle less as you get to the bottom. I used a white glitter from Recollections, that shows very subtly on the canvas. Next, you’re going to begin placing the wood chips on the canvas. Use your ruler mark the center of the canvas. For an 8×10, I marked 4 inches in the center and 2 inches down from the top. That’s where I began placing the top of my Christmas tree. I set the entire tree on the canvas first and then glued the chips down. 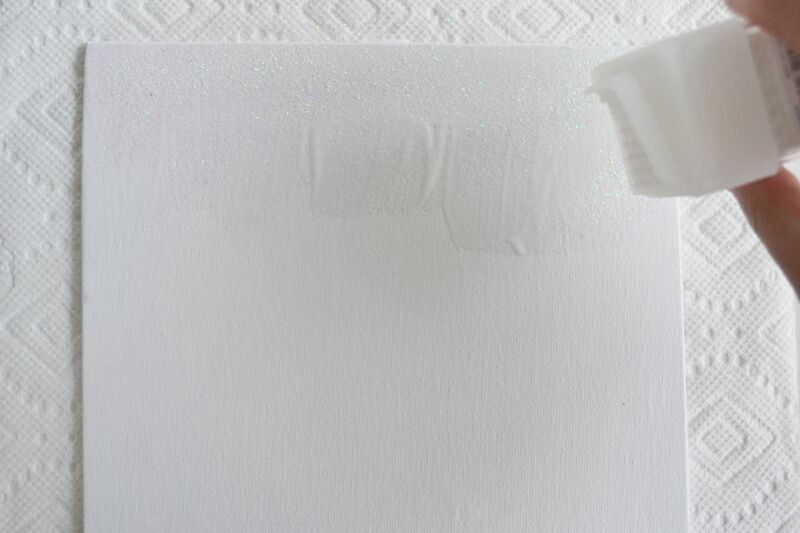 Seeing where the chips will go first allows for easy placement and will allow you to see the finished product before making the commitment to glue it down. 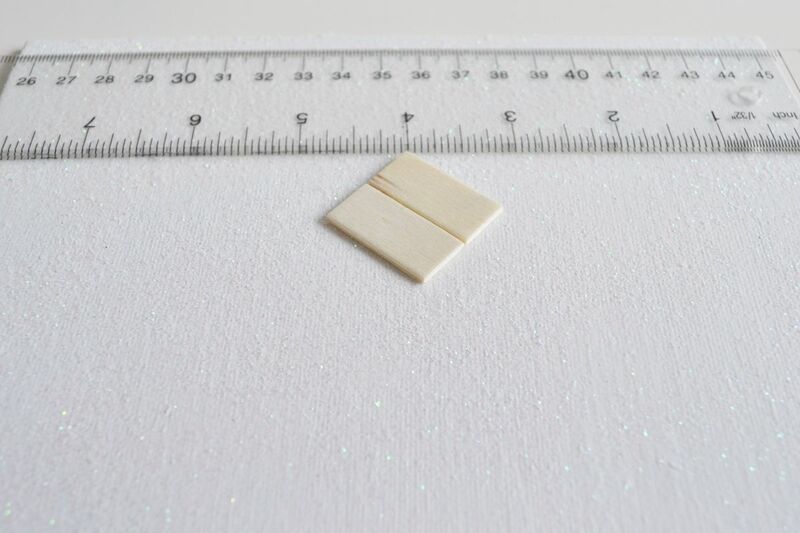 Once you like the way it looks, adhere the chips to the canvas with craft glue. Follow the pattern to make a tree with your wood chips. The smaller chips are at the top, and the larger chips fall at the bottom. 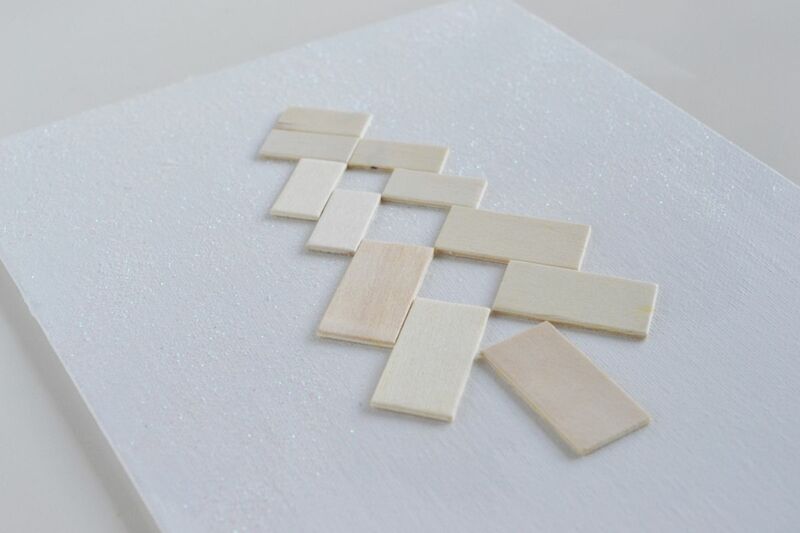 You can choose to paint these chips if you like, but the point of Nordic design is to keep it simple, with a rustic feel. As the light shines on your wall art, you will see the glitter sparkle. This simple, Christmas wall art is cozy and inviting with beautiful Scandinavian feel. Happy Holidays!